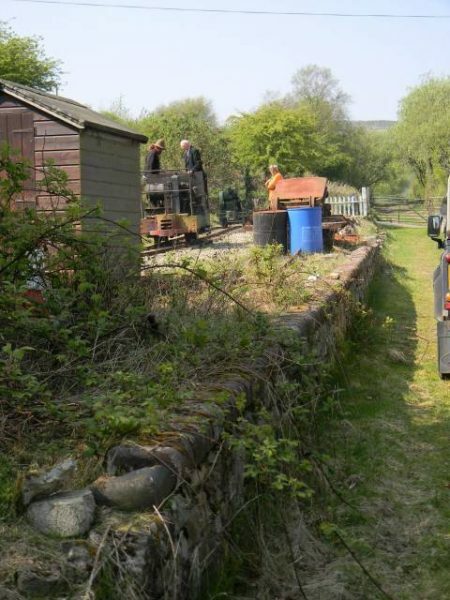 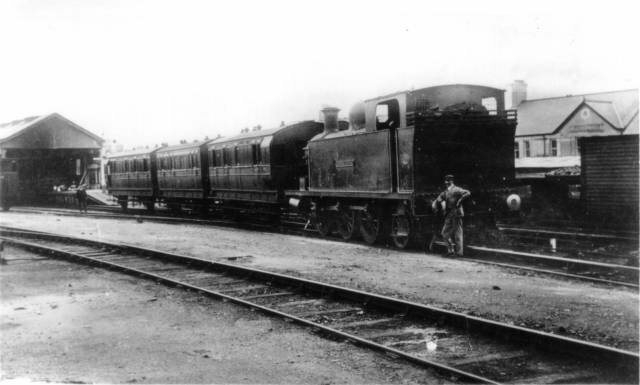 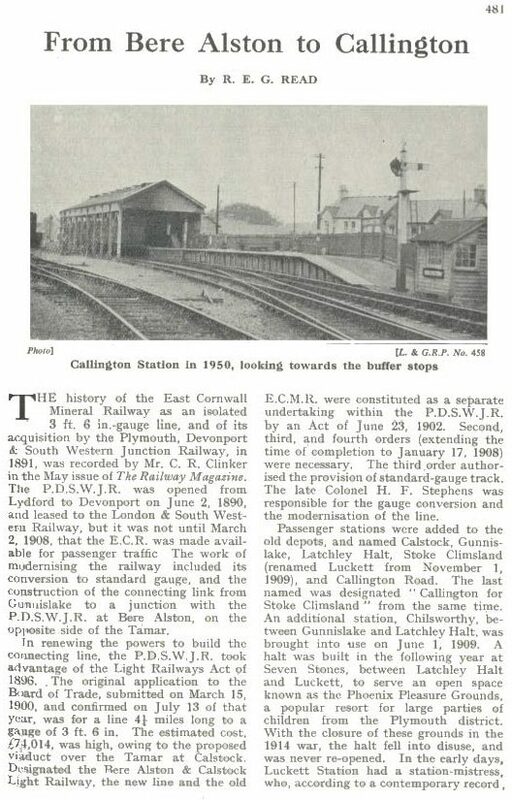 Two previous posts have looked at the East Cornwall Mineral Railway. 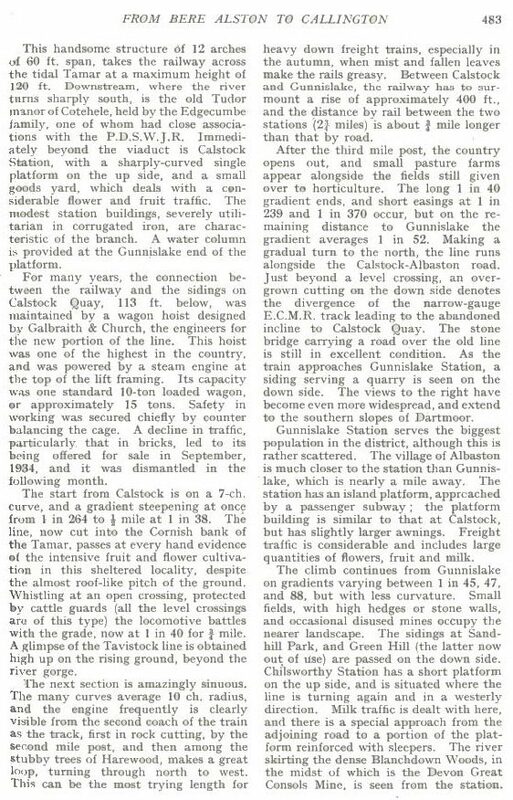 These articles in The Railway Magazine prompt further research and they usually lead to discovery of interesting stories and information. 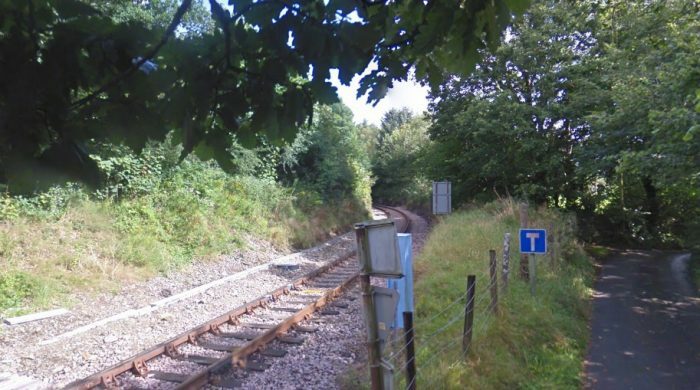 Before we head off up the line to Gunnislake, it is important to note that Devon County Council has an aspiration to re-open the railway line between Tavistock and Bere Alston and provide associated multi-use trails in the surrounding area. 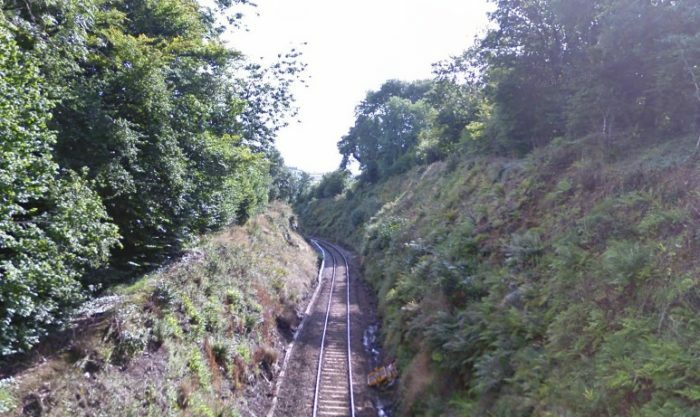 The re-opening of this section of line would provide a new, sustainable link between Tavistock and Plymouth for commuter journeys, help to minimise traffic on the A386, link Tavistock to the national rail network and also provide an alternative travel option for leisure, education and retail journeys. 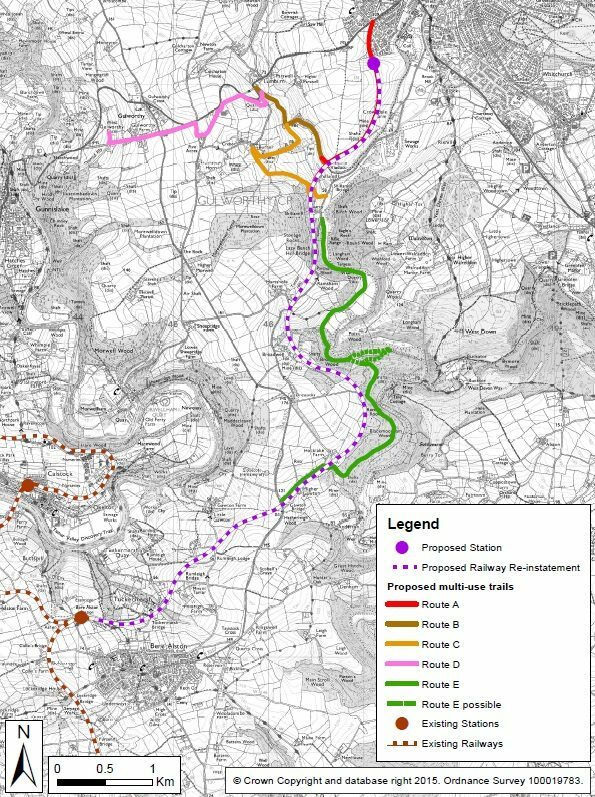 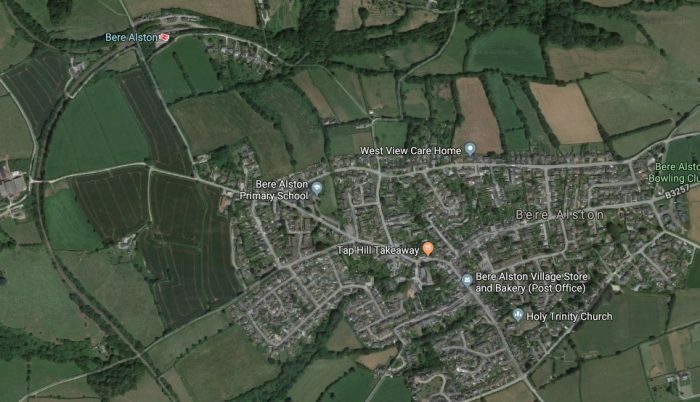 The multi-use trails will improve access to the surrounding area, which is designated as the Tamar Valley Area of Outstanding Natural Beauty and is part of the Cornwall and West Devon Mining Landscape World Heritage Site. 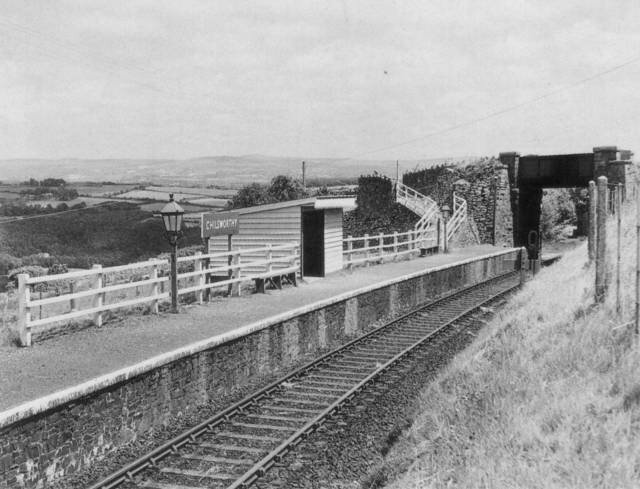 The route of the old branch line left Bere Alston Station at its Western end and curved away North and West. 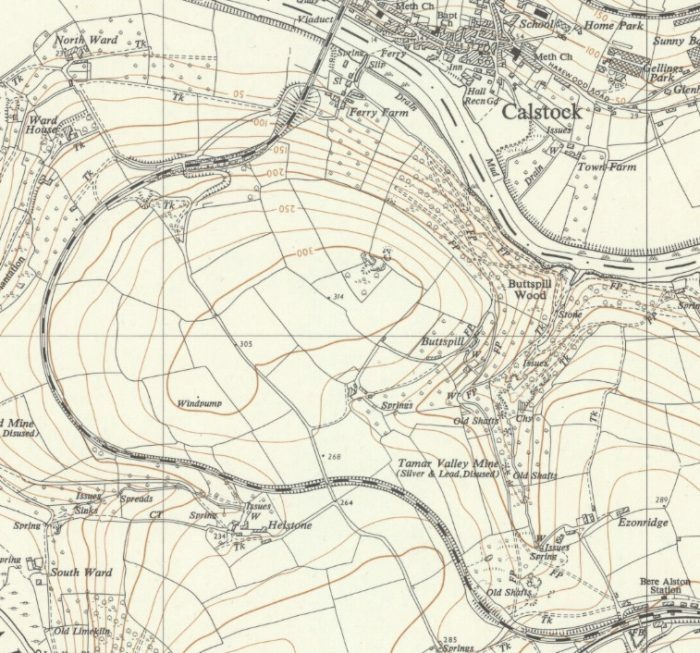 At the time the 1905 OS 6-inch series of maps was being produced the branch to Callington was under construction and its embankments can be seen on the map extract below form the maps published in 1907. 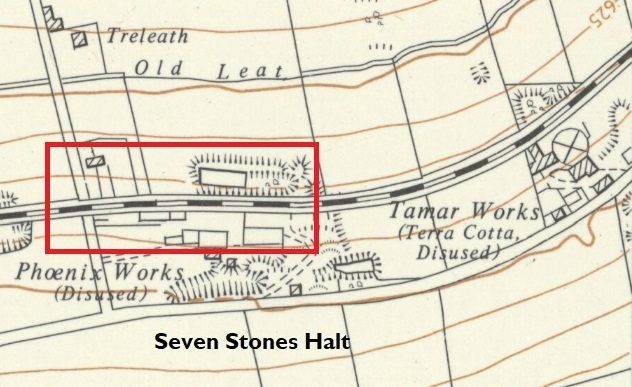 The same location as in the 1907 OS Map above is shown in this Google Earth satellite image. 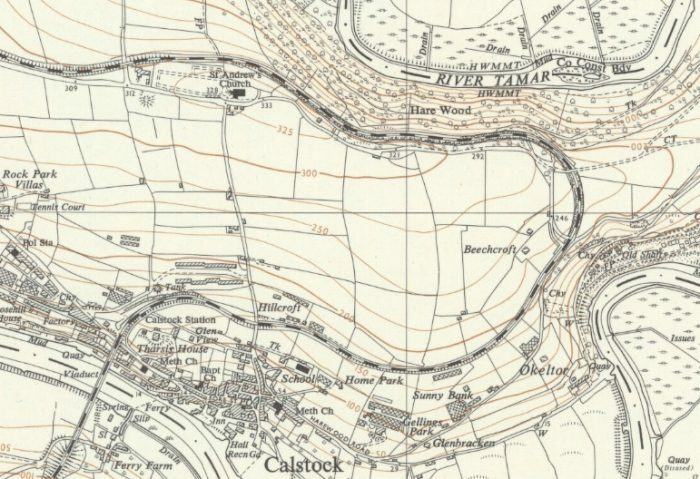 As can be seen on the excerpt from Sheet SX46NW, an OS Map from 1954, the line roughly followed the contours of the land from Bere Alston to Calstock Viaduct. 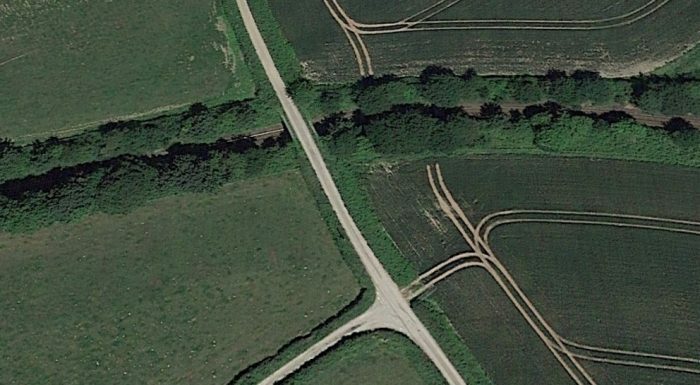 The line passed under the narrow lane shown on the satellite image below and then curves sharply round to the North and then to the East. 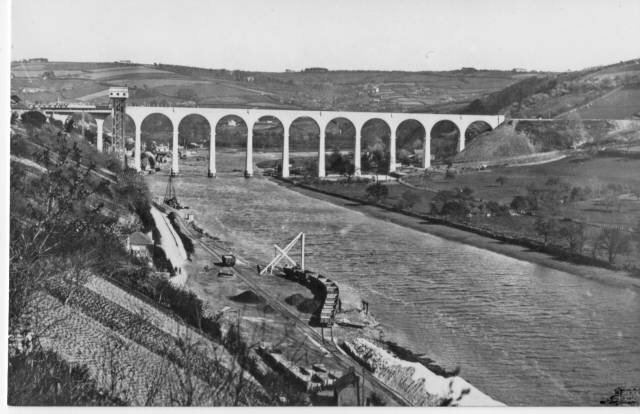 Close to Calstock Viaduct the railway passes under a road-overbridge as shown below. 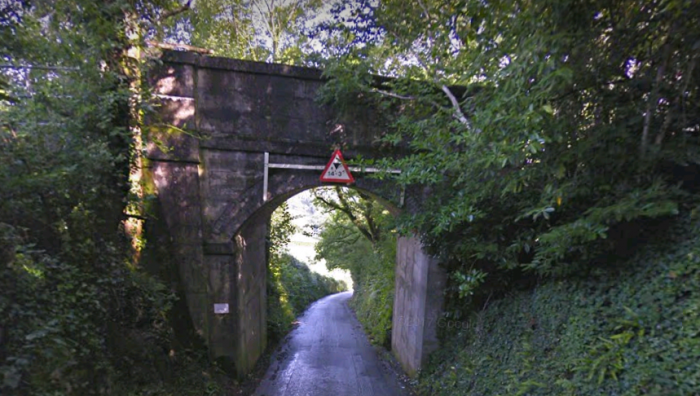 This isthe same road as in the picture above. 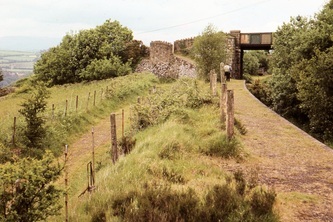 Looking back West along the line from the bridge above as it curves away towards Bere Alston. 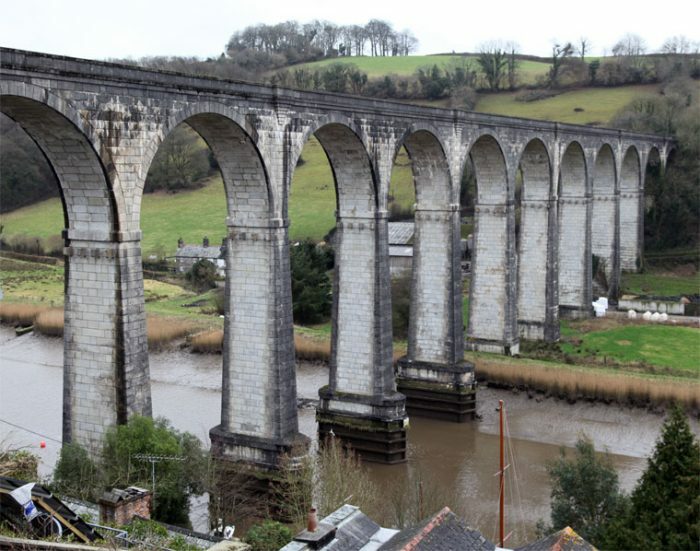 Looking forward along the line from the bridge above towards Calstock Viaduct in the early 21st century. 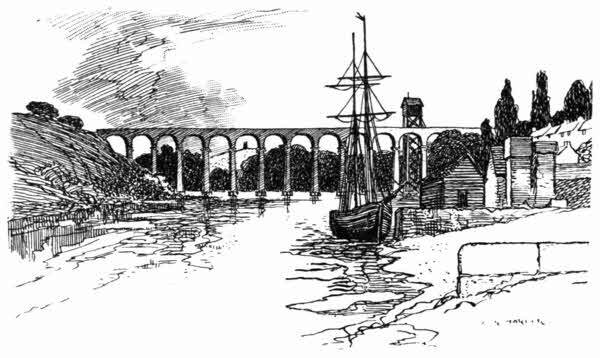 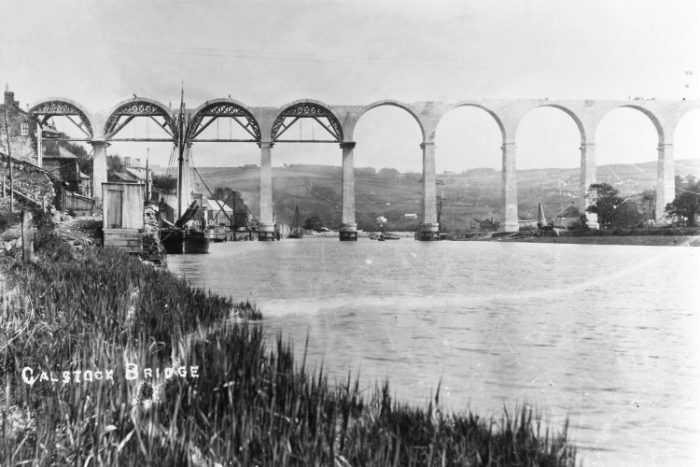 After Calstock the railway gradually gains height as it travels around the flanks of a promontory of land around which the River Tamar flows. 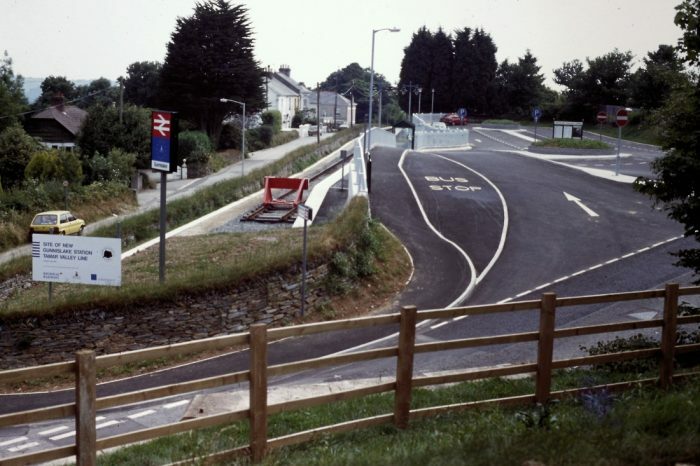 The next three images focus on a road crossing next to Eric Road – Okeltor Crossing. 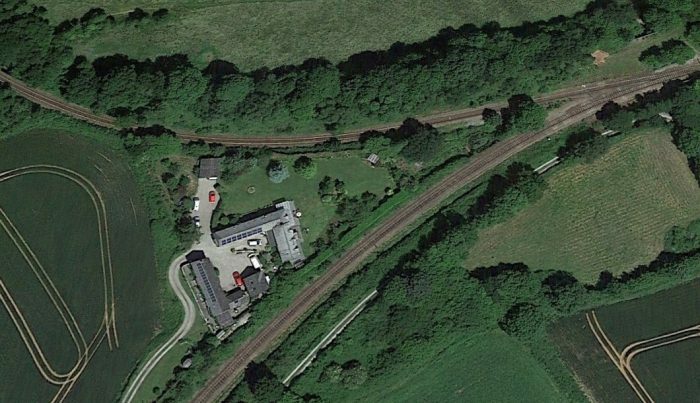 The location is to the Southeast of Beechcroft House on the map above. 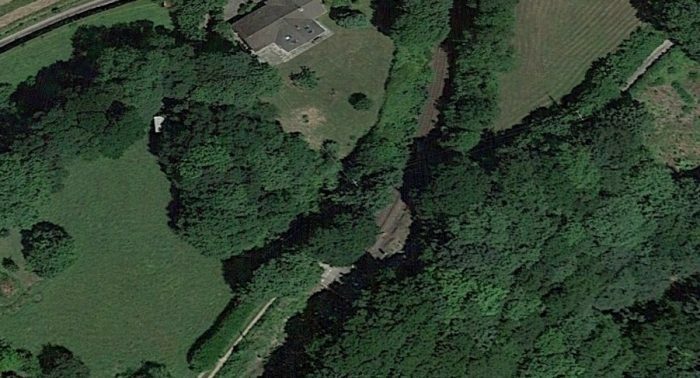 All three are source from Google Earth and Google Streetview. 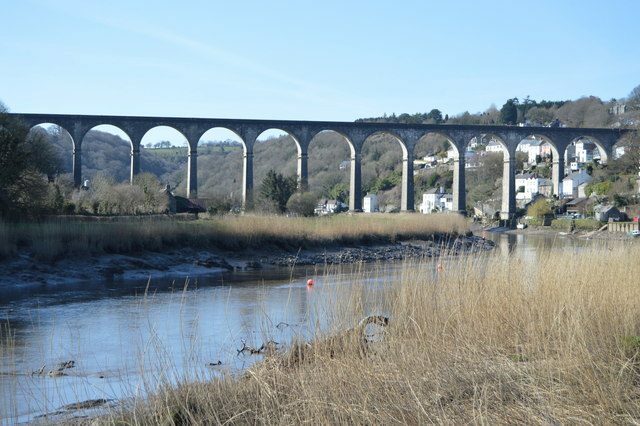 Looking back (above) along the line towards Calstock from Okeltor Crossing. 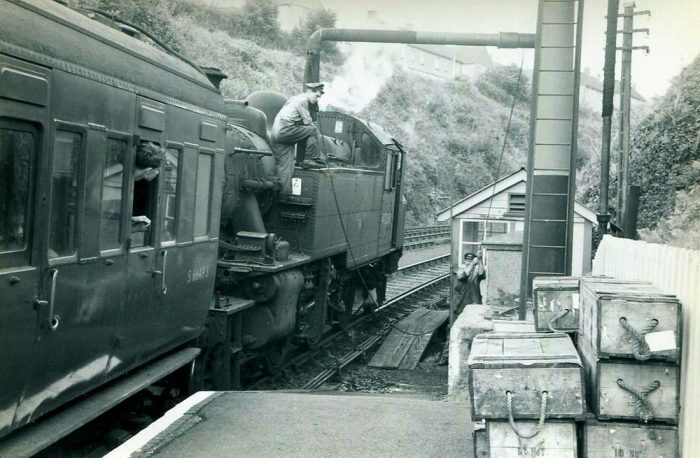 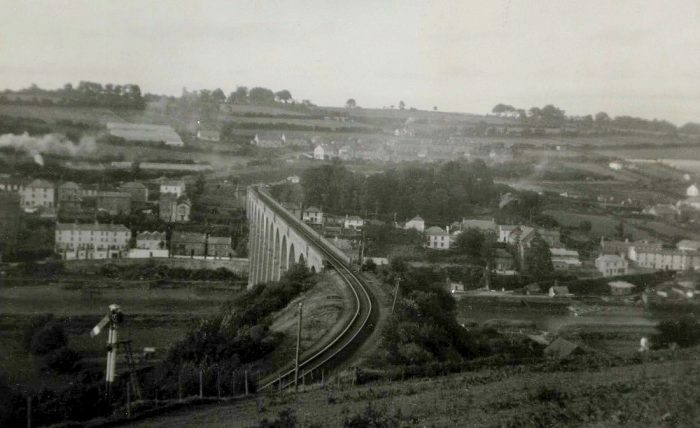 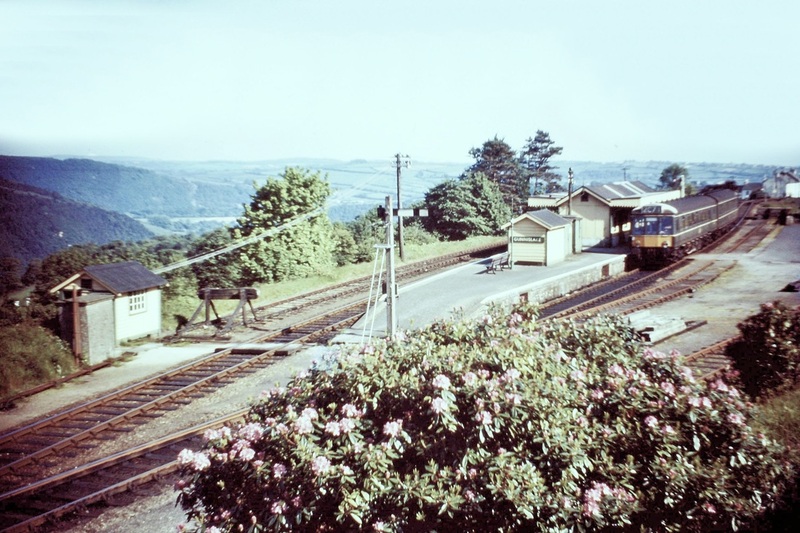 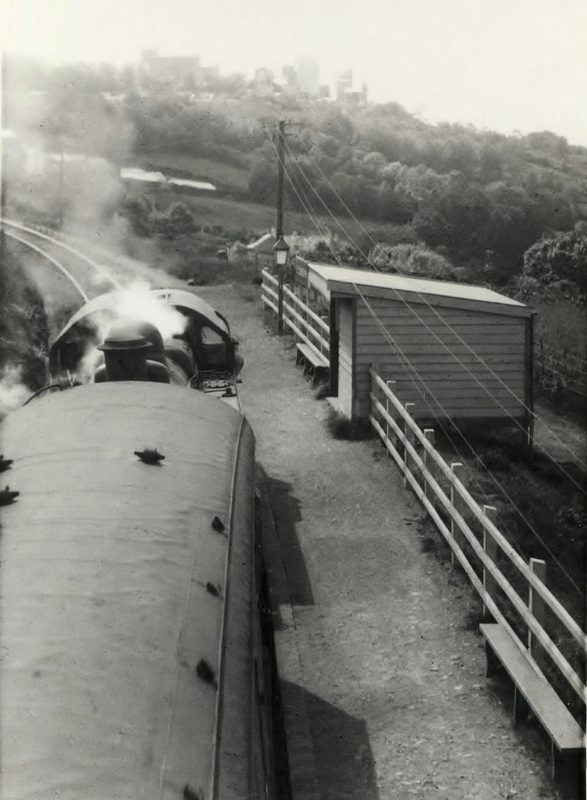 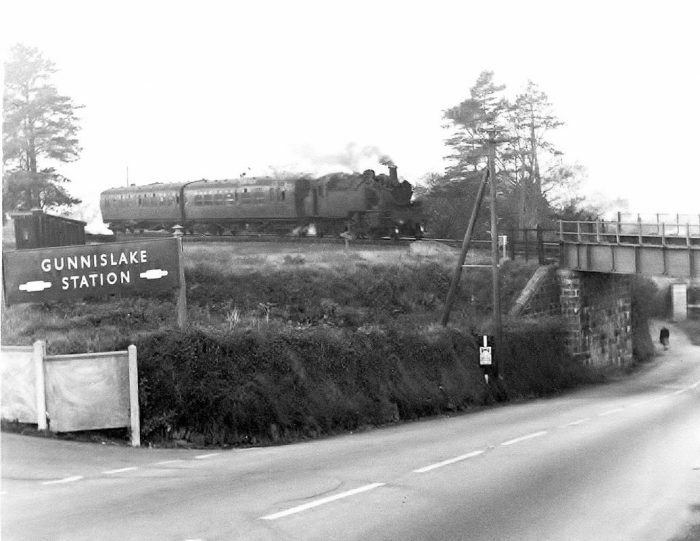 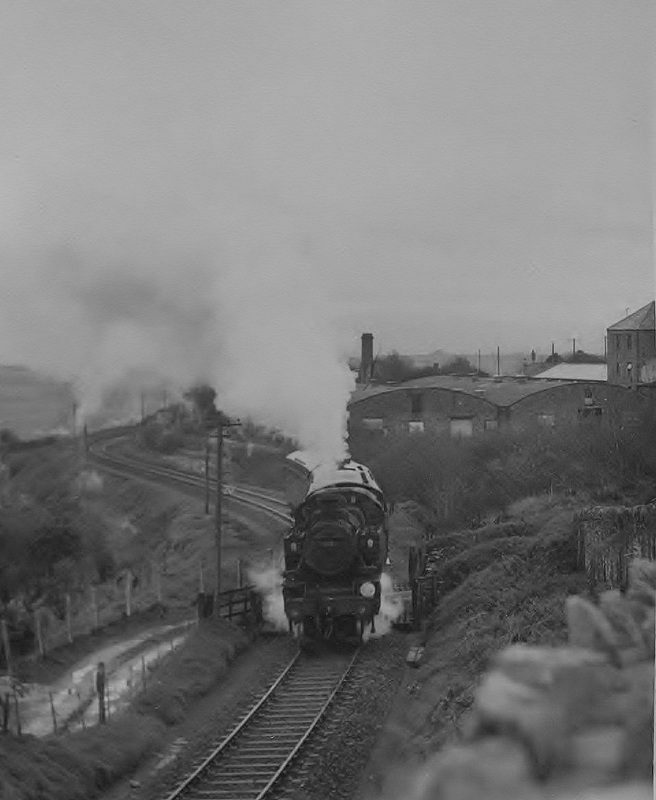 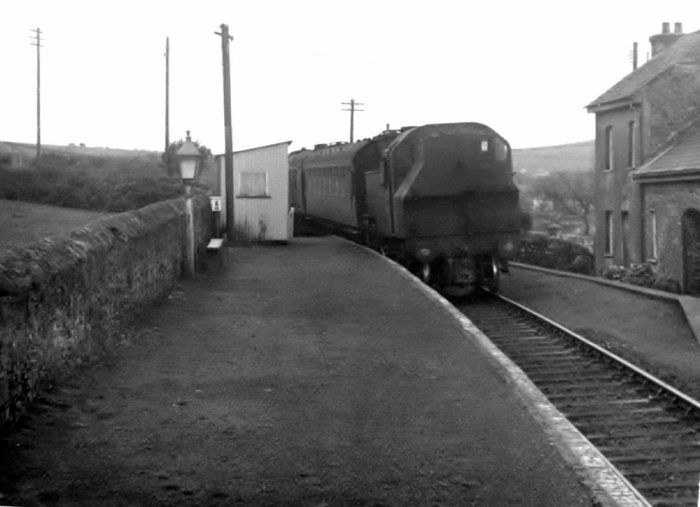 The adjacent image was taken in the mid-1960s just a little further back down the line towards Calstock and shows a train approaching Okeltor Crossing. 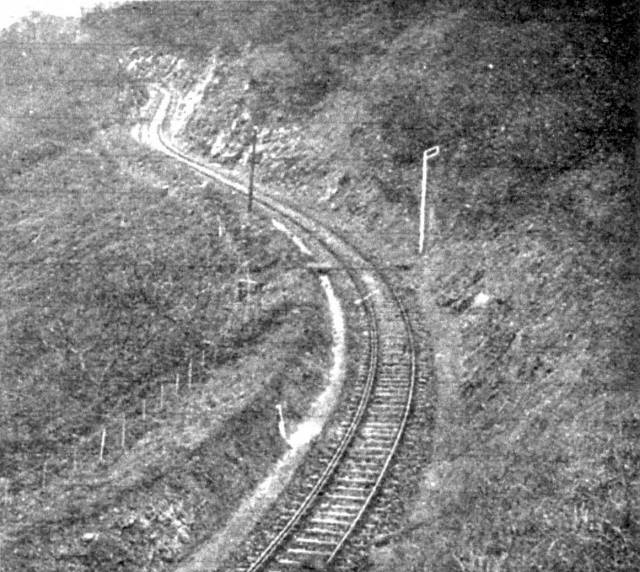 Looking ahead up the gradient facing Northeast from the crossing. 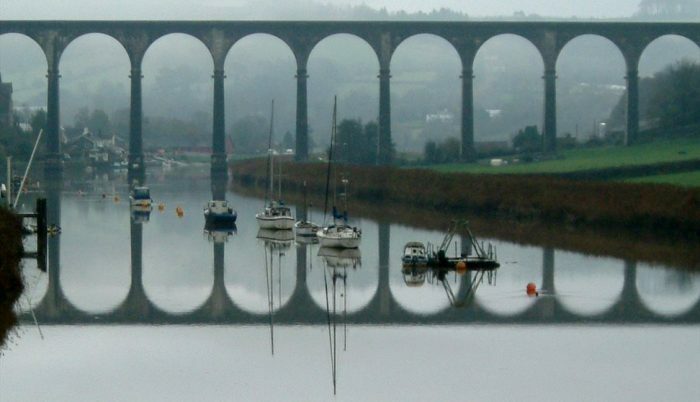 Then line turns sharply to the West following the path of the River Tamar, but at a much higher level. 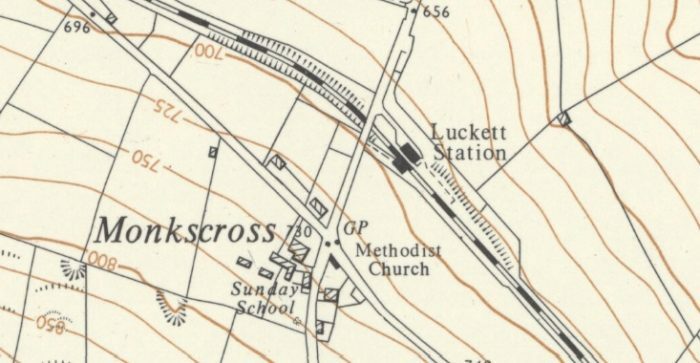 It passes to the North of St. Andrew’s Church and crosses two minor roads. 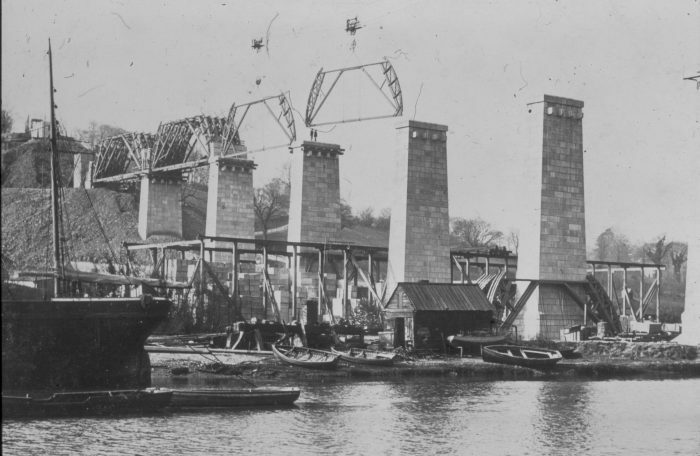 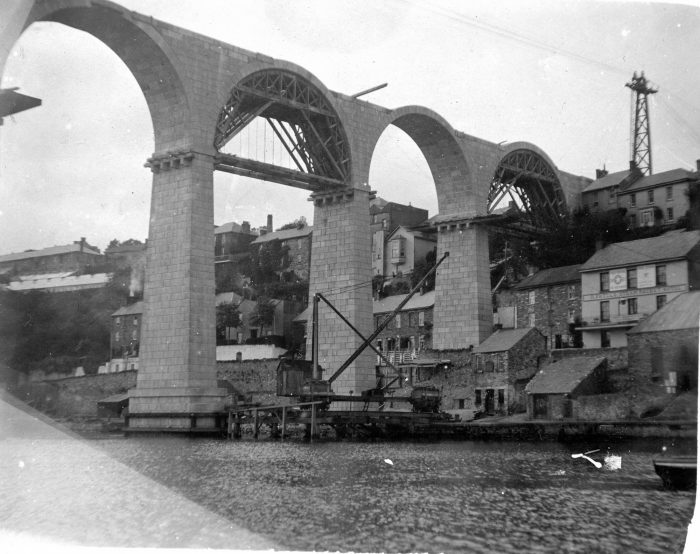 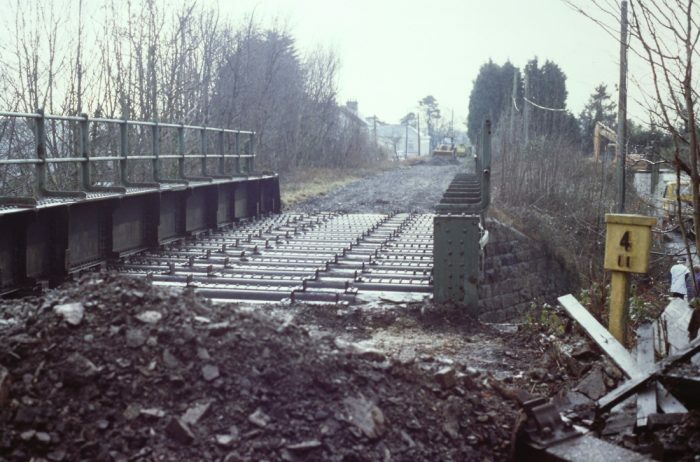 The first as a low-headroom masonry arch bridge, the second at grade. 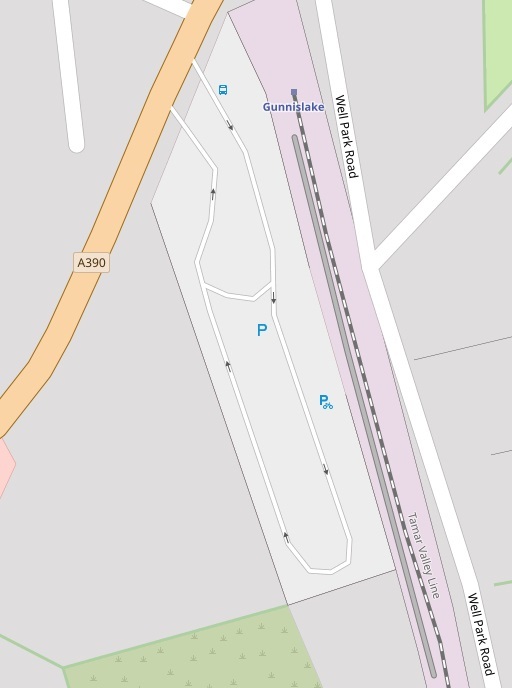 Openstreetmap provided this map excerpt. 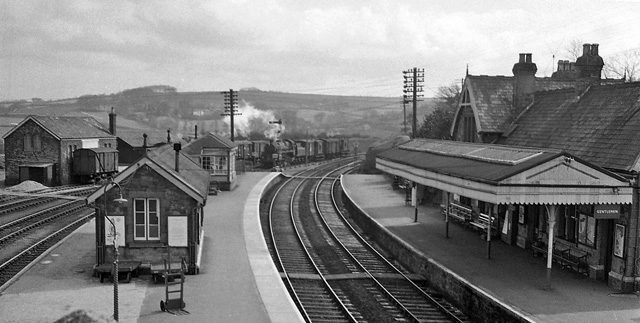 St. Andrew’s church is off to the right of the image. 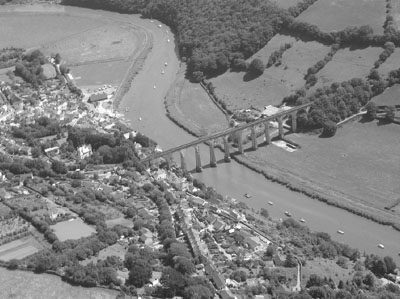 the masory arch bridge just features on the right of the map. 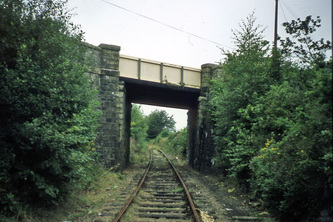 The road-under-bridge looking North. 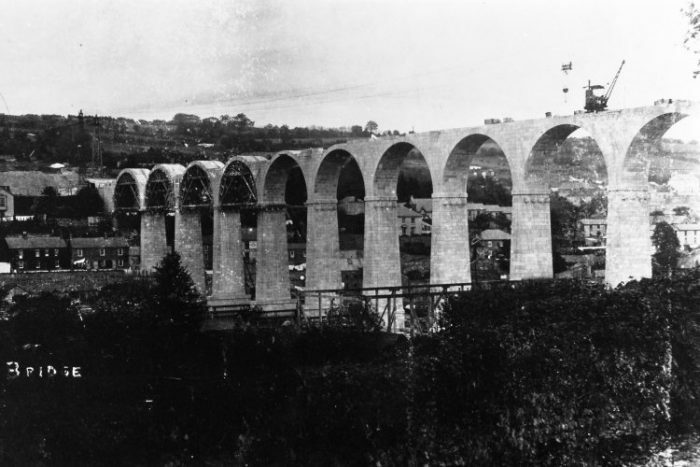 The same bridge looking South. 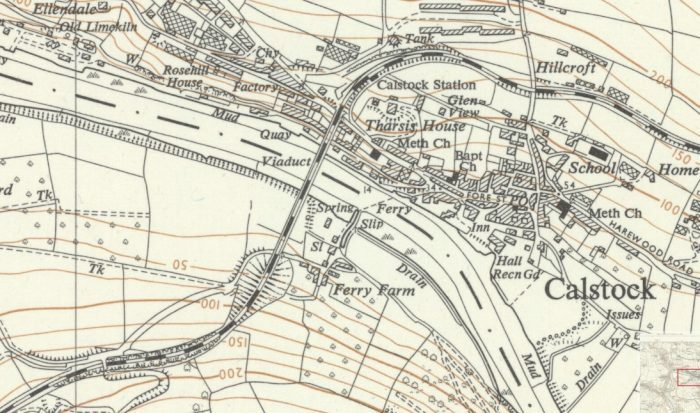 Sandiways Crossing is shown at the extreme left of the map above. 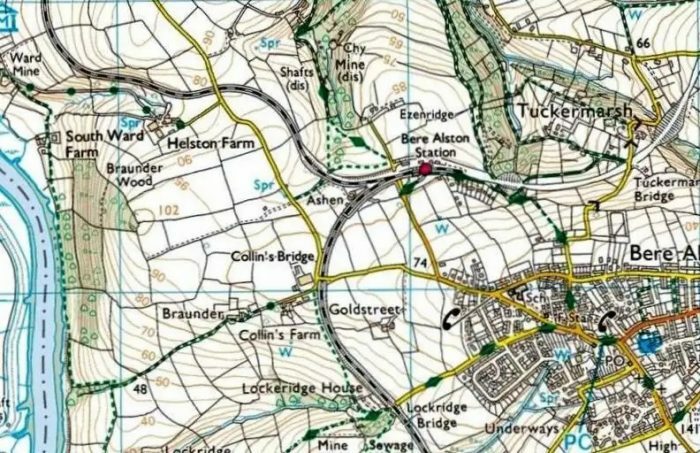 The road-crossing on the left of the map above. 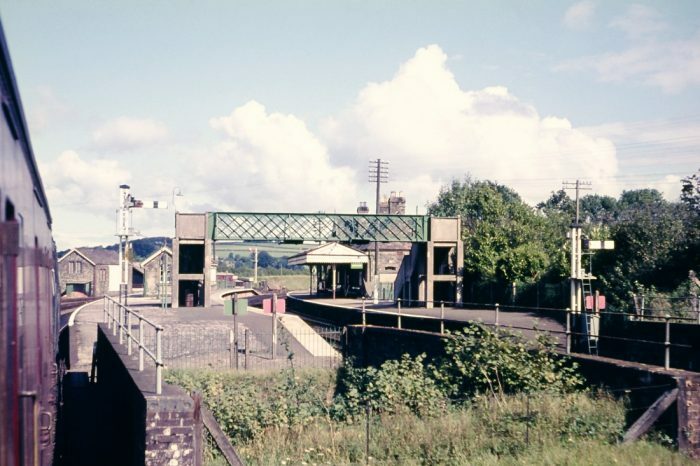 The view above looks North across the crossing. 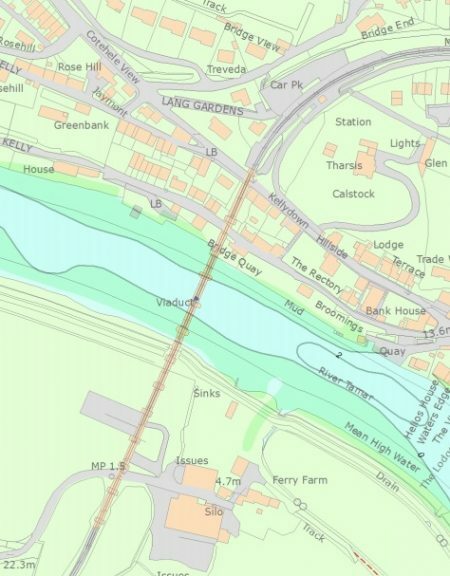 The line continues to twist through the countryside North of Calstock and adjacent the Openstreetmap excerpt and the one below it cover the last part of the new formation laid for the standard-gauge line before it joined the route of the old ECMR travelling North from the Calstock Incline. 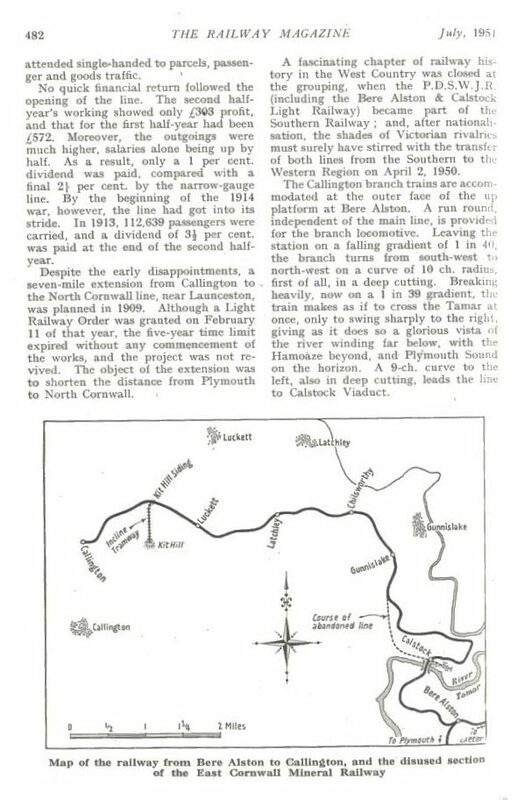 There is room here, however for some more photos and maps along the route and a number of these follow below. 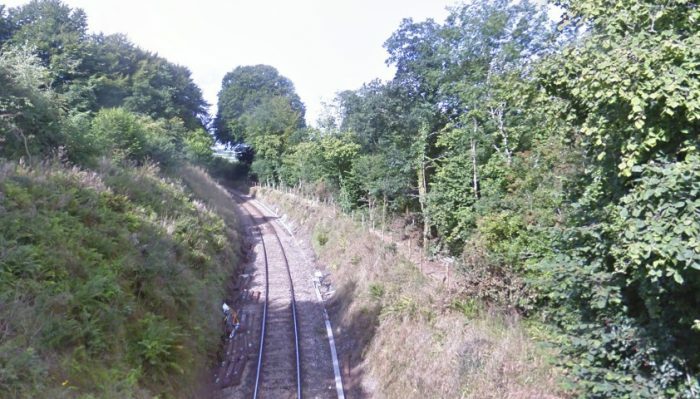 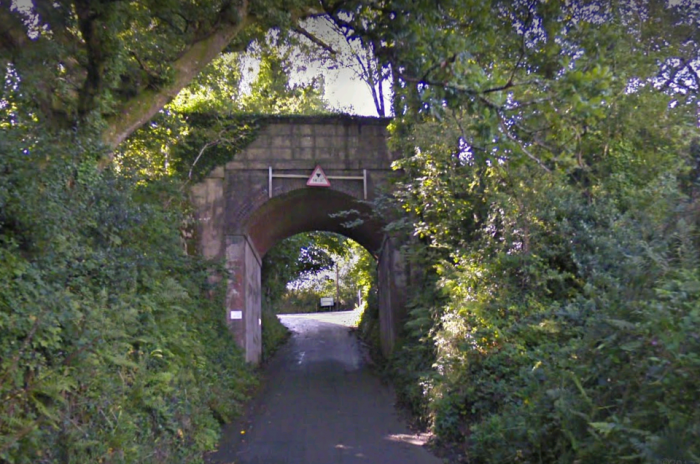 Gunnislake Station: The next significant stop on the line is Gunnislake. 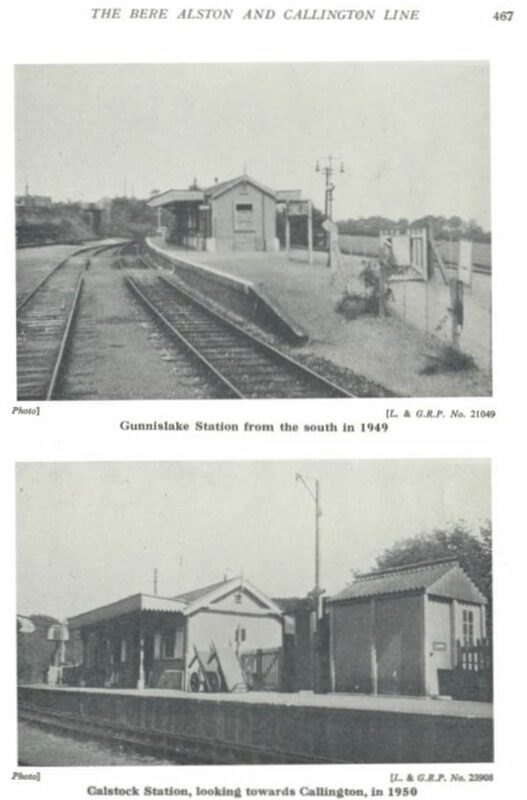 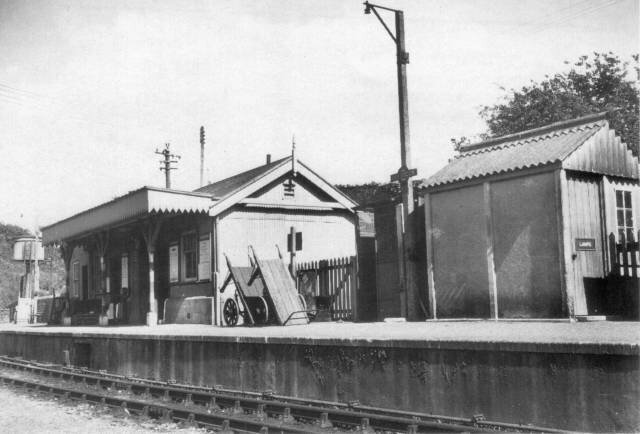 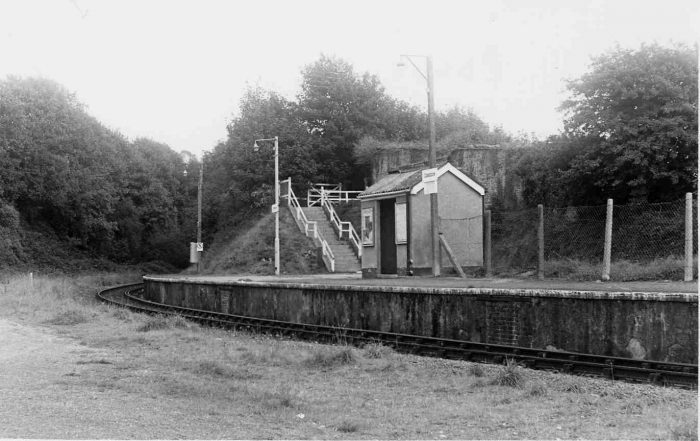 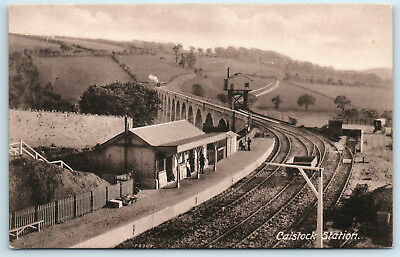 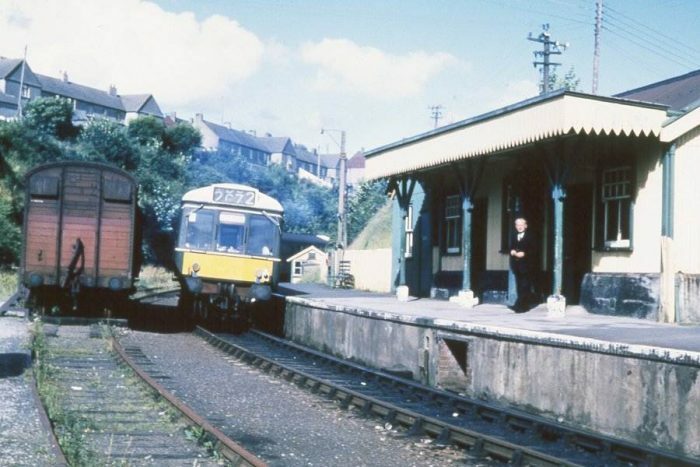 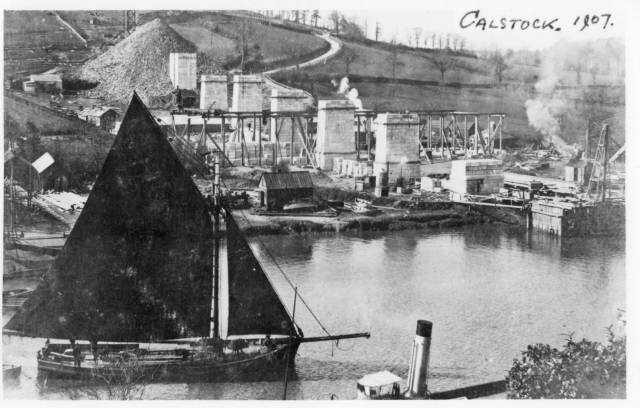 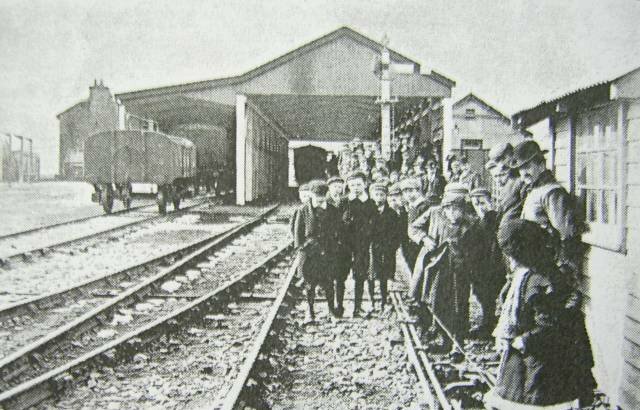 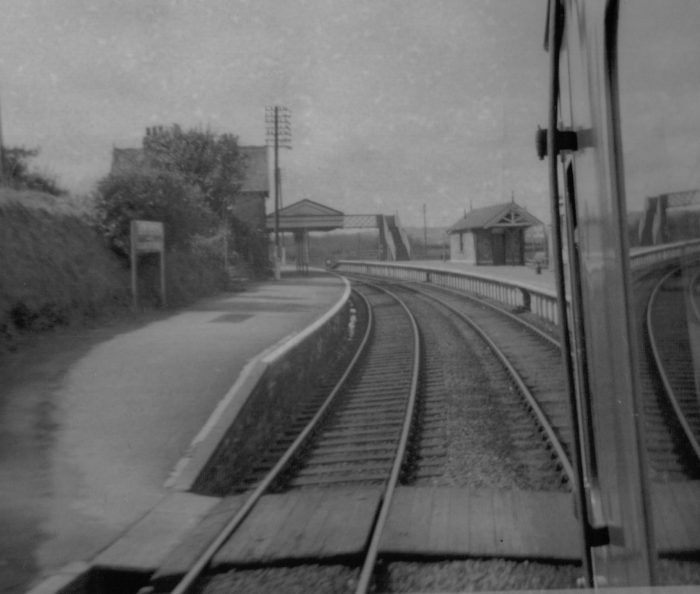 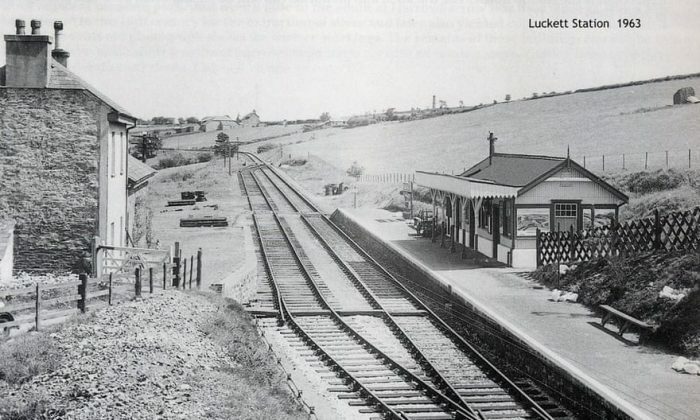 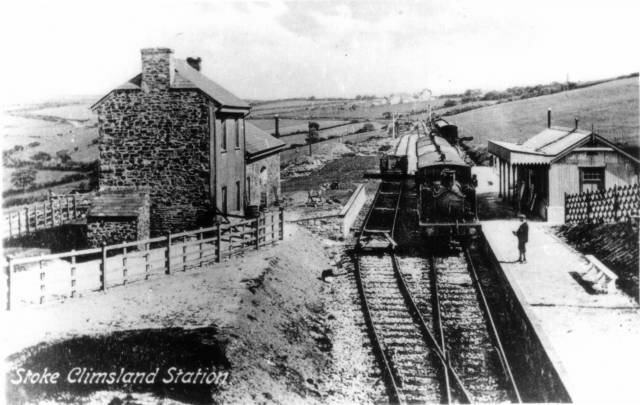 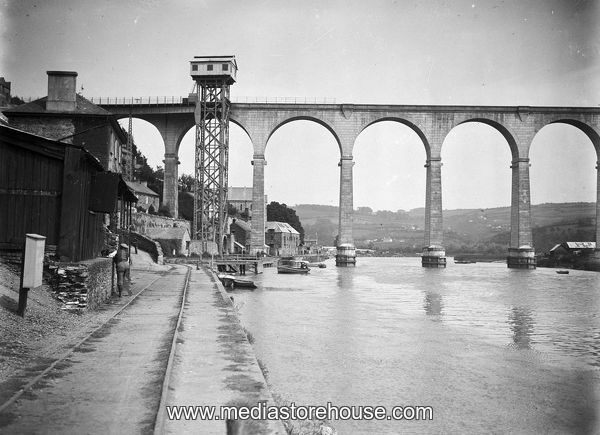 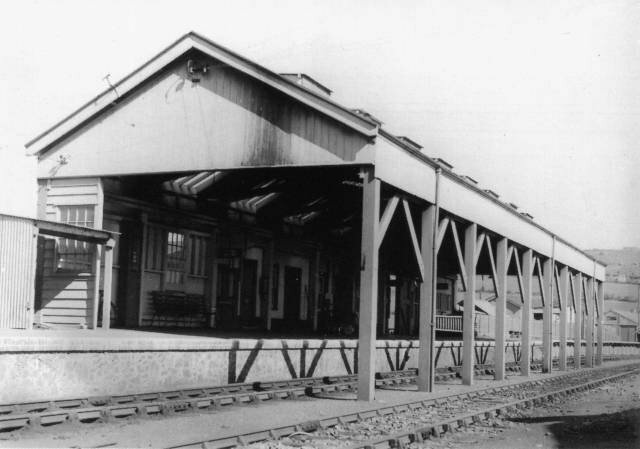 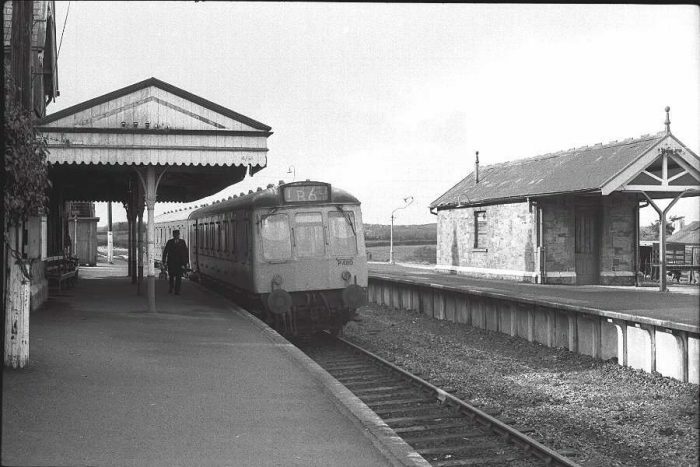 The old station was located a little further from Calstock than the present terminus. 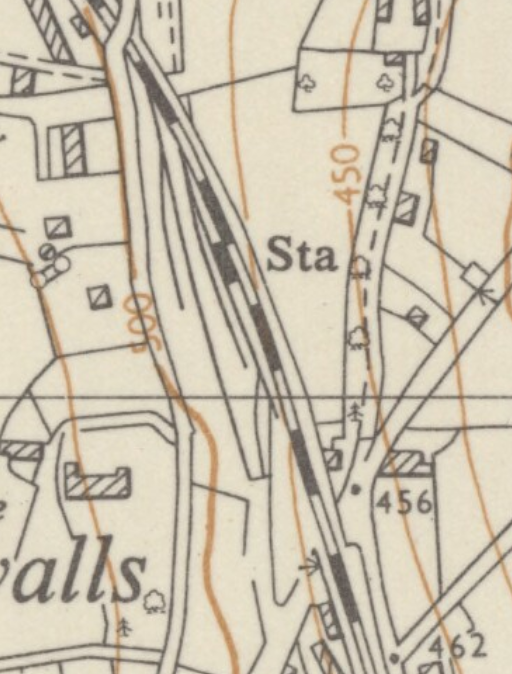 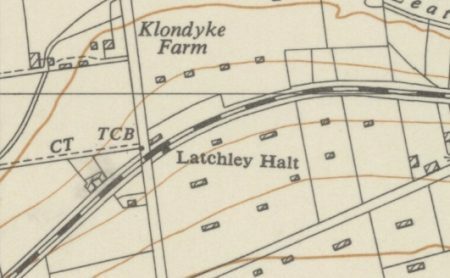 The earlier station’s location is shown on the 1954 6-inch OS Map just below. 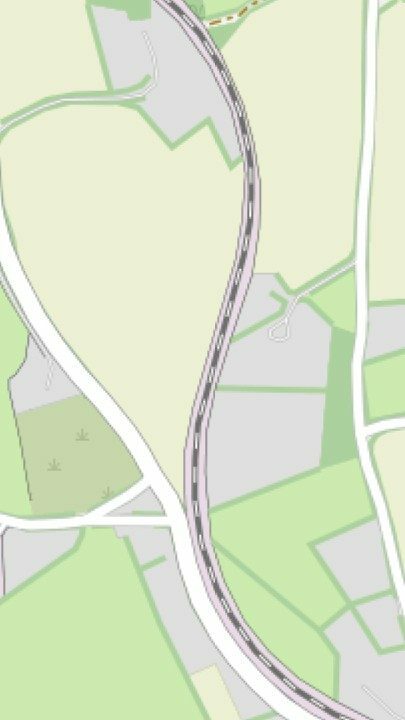 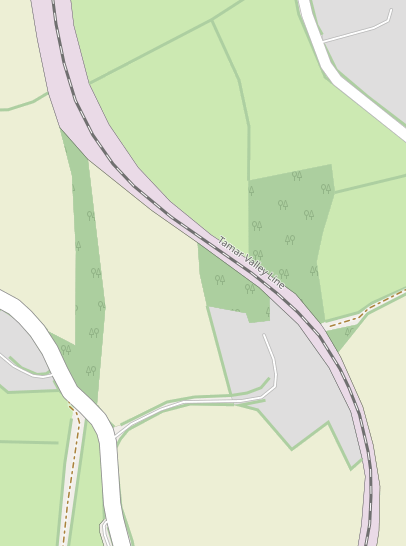 The adjacent Openstreetmap excerpt shows the location of the new station in relation to the A390. 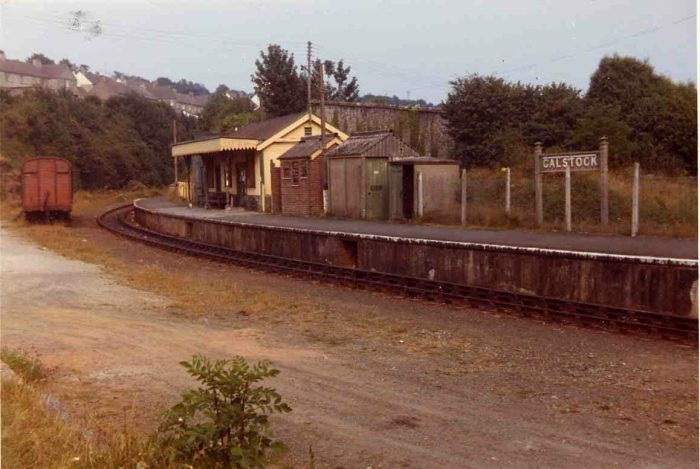 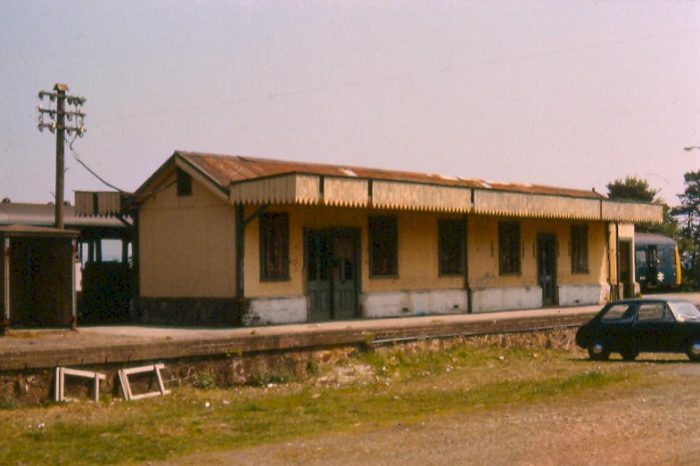 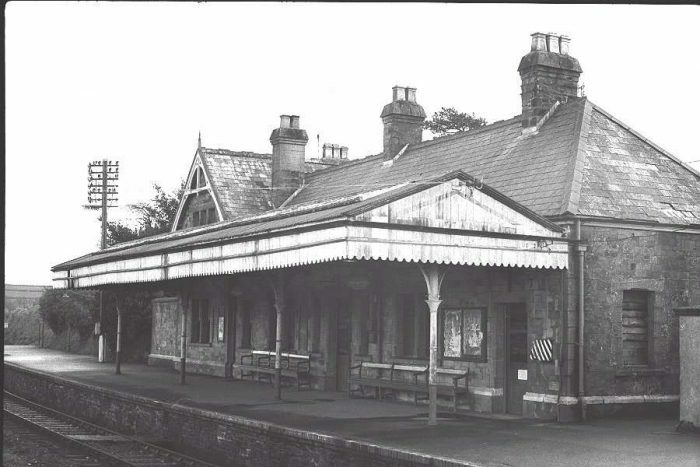 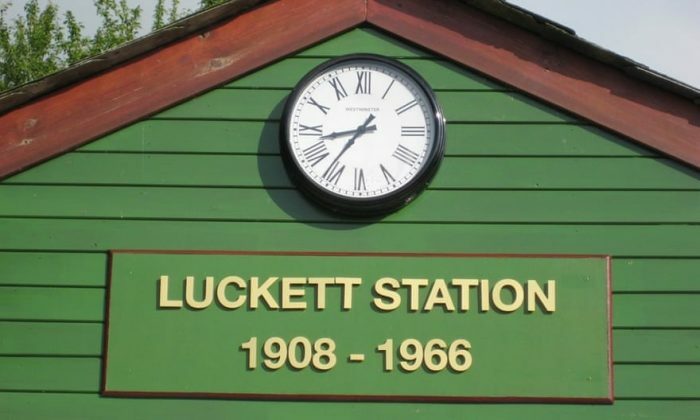 As noted elsewhere the new station was finished and became operational in 1994. 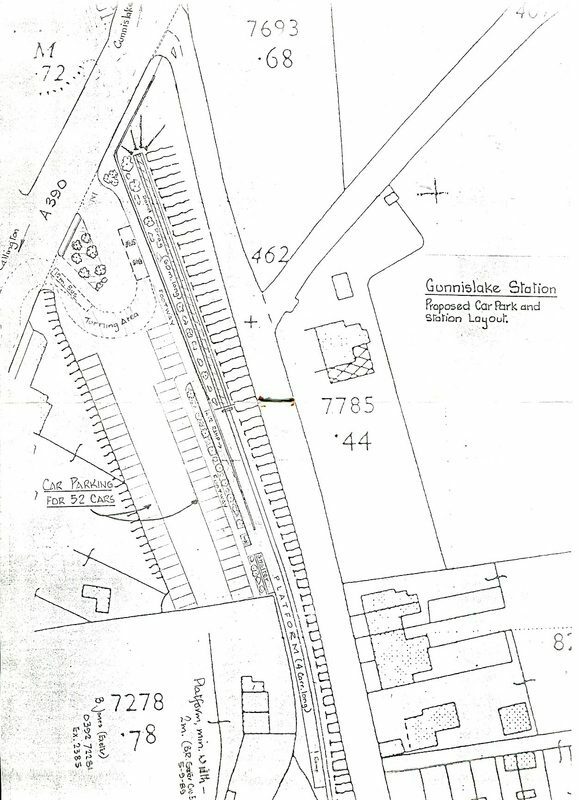 The drawing below was produced at design stage and does not show the actual arrangement of parking bays in the car park. 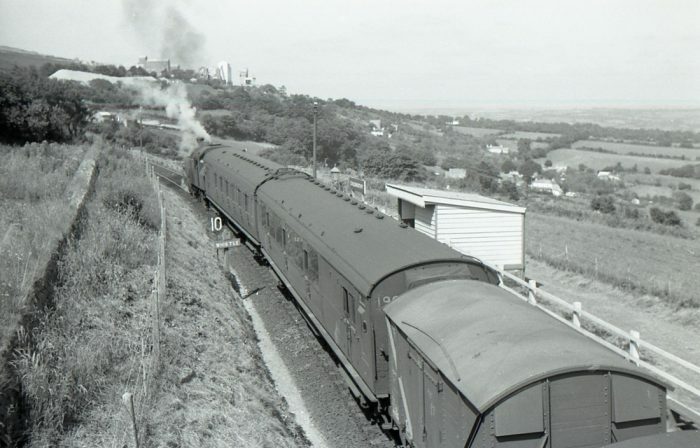 Beyond Chilsworthy a major industrial complex was the next most significant feature alongside the line – Hingston Down Quarry. 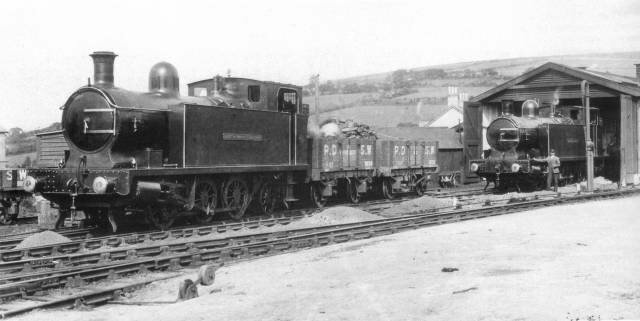 A loop and siding served the site. 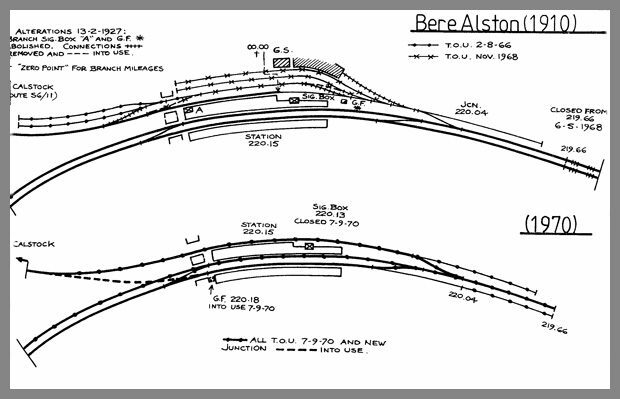 The track layout appears on the 6-inch OS Map of 1954. 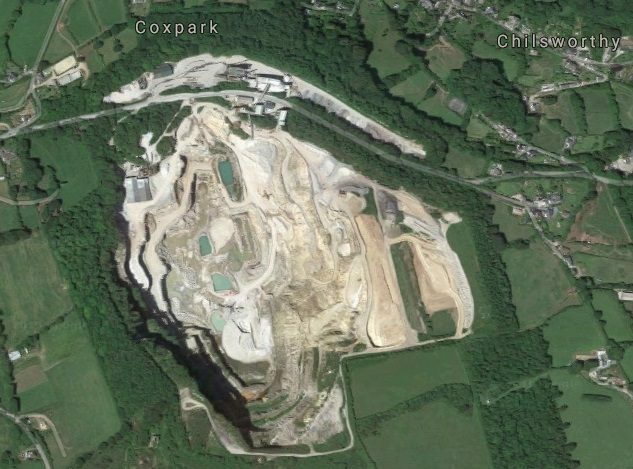 The quarry area is much enlarged in the early 21st century. 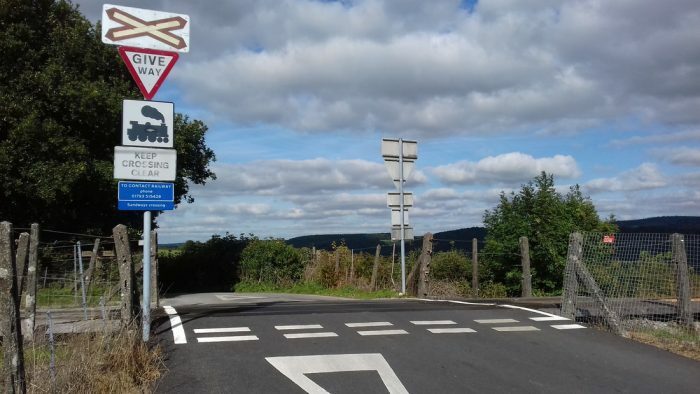 R.E.G. 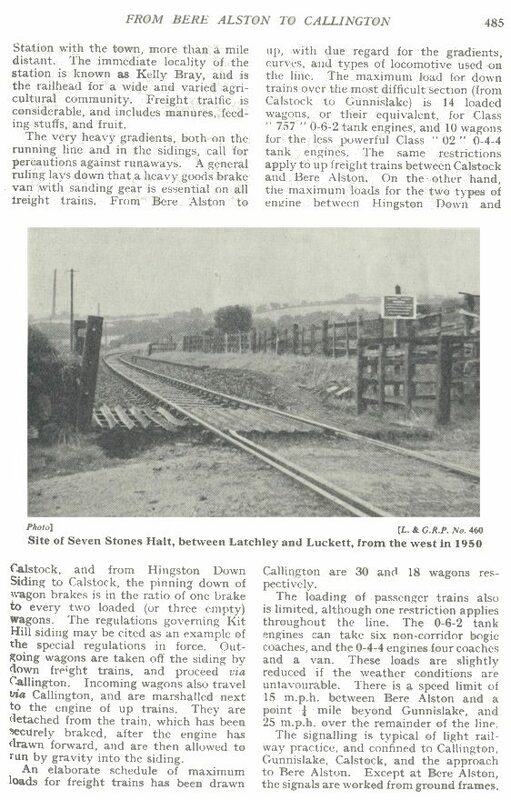 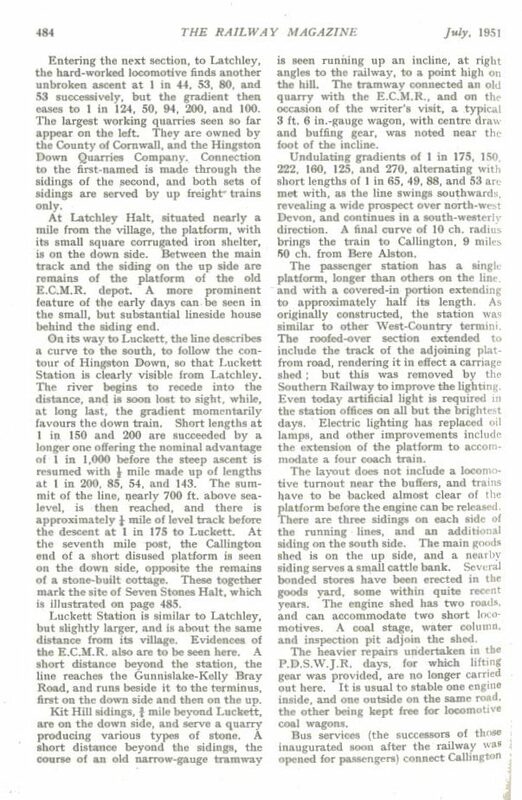 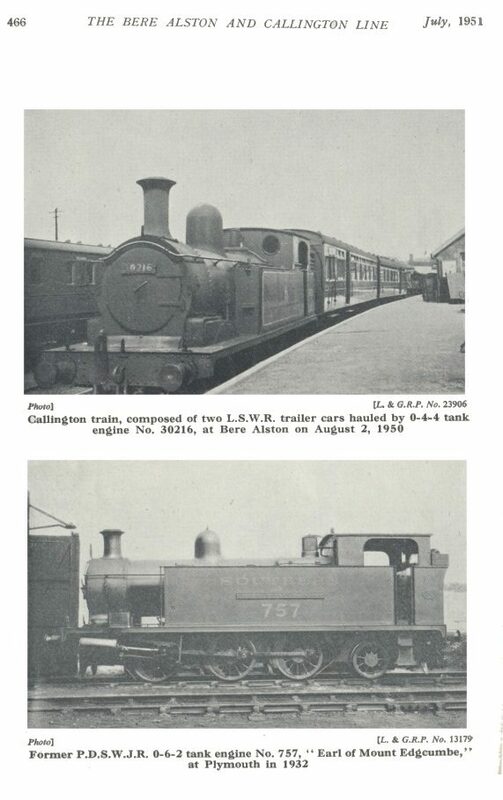 Read; From Bere Alston to Callington; in The Railway Magazine, Volume No. 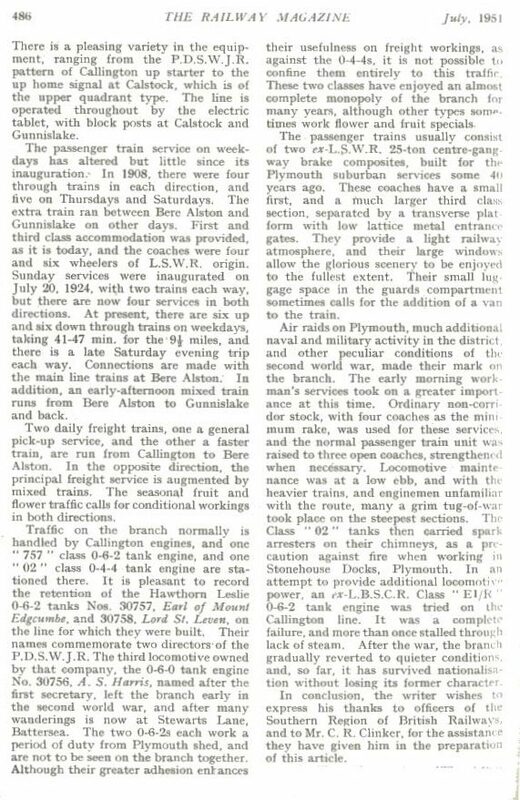 603, July 1951, p481-486 & p466-467. 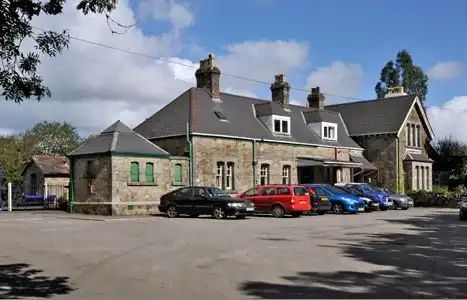 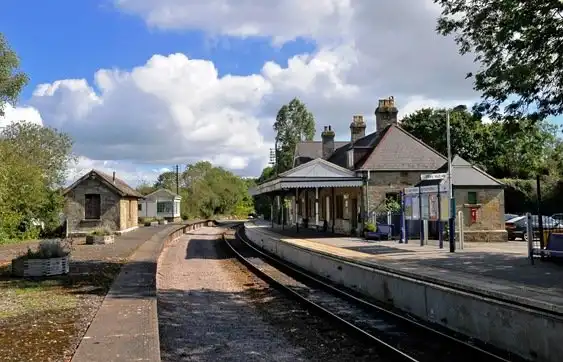 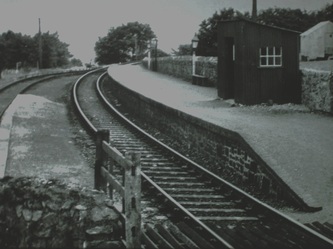 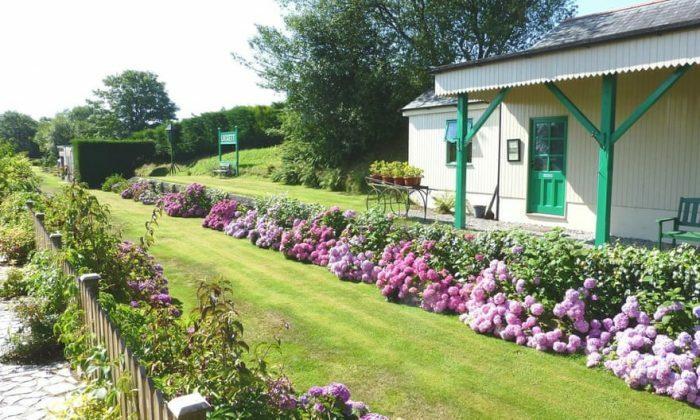 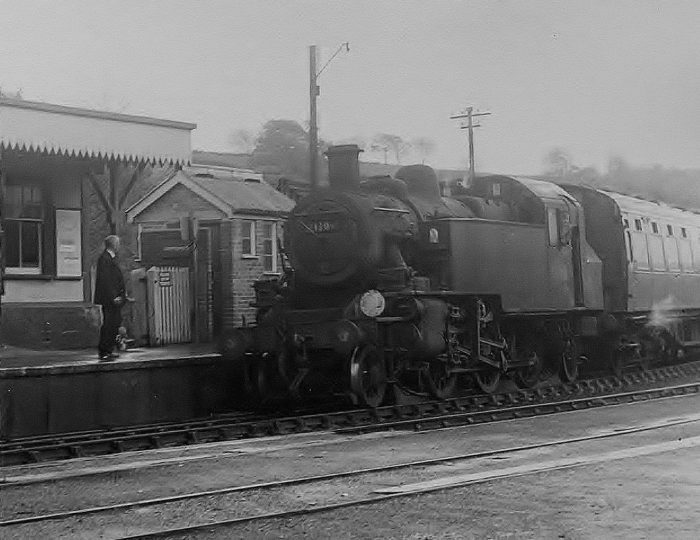 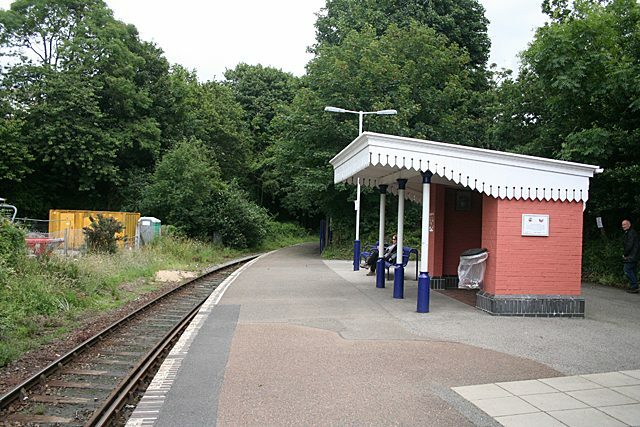 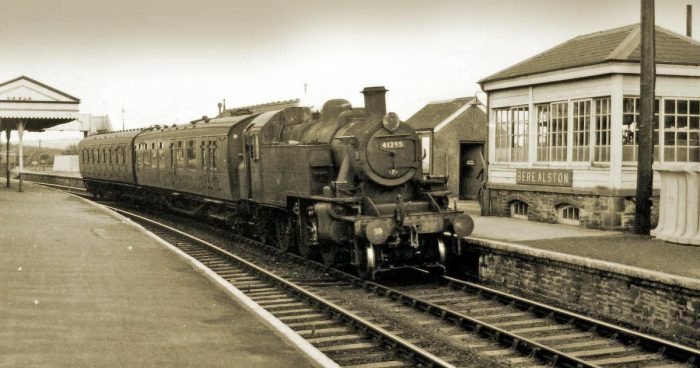 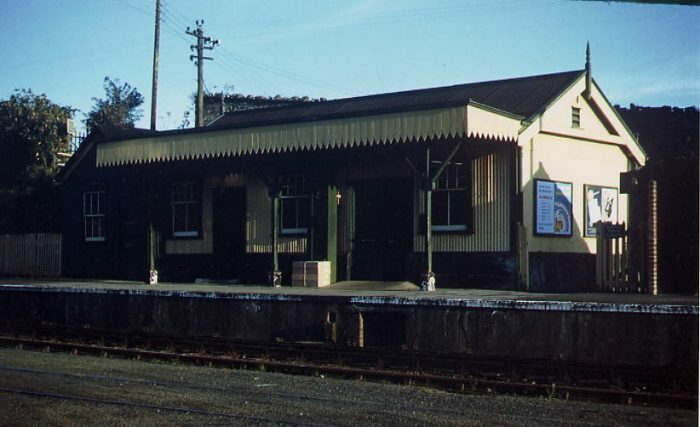 http://www.cornwallrailwaysociety.org.uk/callington-branch.html, accessed on 31st March 2019.
https://en.m.wikipedia.org/wiki/Bere_Alston_railway_station, accessed on 31st March 2019.
https://www.geograph.org.uk/photo/1972579, accessed on 31st March 2019.
http://great-devon-railway.uk/bere%20alston%20%26%20callington%20railway/index.html, accessed on 31st March 2019.
http://www.semgonline.com/infrastr/calstock_viaduct.html, accessed on 30th March 2019.
http://www.trainweb.org/railwest/railco/sr/cal-stn.html, accessed on 31st March 2019.
https://www.gracesguide.co.uk/Bere_Alston_and_Calstock_Light_Railway, accessed on 31st March 2019.
https://www.devon.gov.uk/roadsandtransport/traffic-information/transport-planning/tavistock-to-bere-alston-railway-and-associated-multi-use-trails, accessed on 1st April 2019.
http://www.trainweb.org/railwest/railco/sr/b-alston.html, accessed on 31st March 2019.
https://devoncc.sharepoint.com/sites/PublicDocs/Highways/_layouts/15/guestaccess.aspx?guestaccesstoken=k7D0S%2fHZpJvn%2fAR4muVJwZGQD%2fsiQb%2bEFyT%2fX5xl9aw%3d&docid=073bf6e9bfd2a450c8bc682985efcc725, accessed on 1st April 2019.
https://maps.nls.uk/view/101445166, accessed on 1st April 2019.
https://maps.nls.uk/view/189247811, accessed on 1st April 2019.
https://mapservices.historicengland.org.uk/printwebservicehle/StatutoryPrint.svc/131521/HLE_A4L_Grade%7CHLE_A3L_Grade.pdf, accessed on 1st April 2019.
https://historicengland.org.uk/listing/the-list/list-entry/1138329, accessed on 1st April 2019.
https://www.plymouthherald.co.uk/news/secret-plans-almost-left-plymouth-733875, accessed on 31st March 2019.
https://commons.m.wikimedia.org/wiki/File:Bere_Alston_railway_station,_Devon,_1970.jpg, accessed on 31st March 2019.
https://plymhearts.org/our-collections/swib/gilhen-archive, accessed on 26th March 2019.
https://www.visitplymouth.co.uk/explore/calstock-and-the-tamar-valley-p485123, accessed on 2nd April 2019.
https://www.communityarchives.org.uk/content/organisation/calstock-parish-archive, accessed on 2nd April 2019.
https://www.geograph.org.uk/photo/5096389, accessed on 2nd April 2019.
https://www.mediastorehouse.com/royal-cornwall-museum/transport/railways/calstock-viaduct-cornwall-2nd-march-1908-12419298.html, accessed on 2nd April 2019.
https://www.gracesguide.co.uk/Calstock_Viaduct, accessed on 2nd April 2019.
https://www.tripadvisor.co.uk/LocationPhotoDirectLink-g1414013-d12336471-i295644589-Ceramics_By_Miranda-Calstock_Cornwall_England.html, accessed on 2nd April 2019.
http://crjennings.com/The%20Remains%20of%20Britains%20Steam%20Age%20Railway/Rems%205.html, accessed on 29th March 2019.
https://picclick.co.uk/Calstock-Cornwall-Railway-Station-Early-1900s-RP-Postcard-163423473278.html, accessed on 31st March 2019.
http://colonelstephenssociety.co.uk/the%20colonels%20railways/bere%20alston%20to%20calstock%20light%20railway/bere%20alston%20to%20calstock%20light%20railway%20phot%20gallery.html, accessed on 2nd April 2019.
https://www.geograph.org.uk/photo/3034852, accessed on 2nd April 2019.
https://maps.nls.uk/view/189247859, accessed on 2nd April 2019.
https://maps.nls.uk/view/189247688, accessed on 2nd April 2019.
http://www.brucehunt.co.uk/Sevenstones.html, accessed on 2nd April 2019.
https://www.theguardian.com/money/gallery/2016/oct/14/woo-woo-a-renovated-railway-station-in-pictures, accessed on 2nd April 2019.
http://brucehunt.co.uk/plymouth%20devonport%20and%20south%20western%20junction%20railway/callington%20branch%20opening%20day%20report%201908.html, accessed on 2nd April 2019. 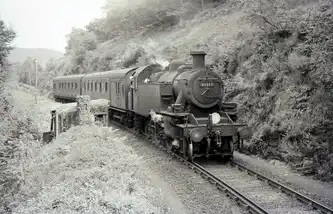 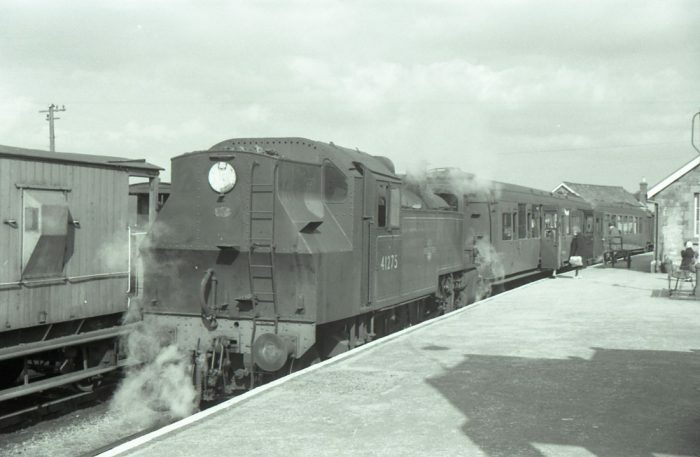 This entry was posted in Railways Blog on April 2, 2019 by rogerfarnworth.